Below there is a case note prepared by the US law firm of Fulbright & Jaworski on the landmark Lindsey Manufacturing decision in interpreting bribery of foreign officials legislation in the US (the Foreign Corrupt Practices Act -FCPA 1977). However, it's importance will be instructive in other jurisdictions which have also passed counterpart legislation eg the Canadian Corruption of Foreign Public Officials Act 1999 and the UK Bribery Act 2010. These legislative frameworks emanate principally from the obligations of member states under the OECD Anti Bribery Convention 1997. 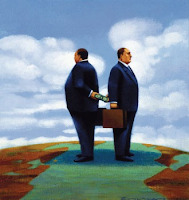 The OECD Anti Bribery Convention is the first global anti-corruption convention attempting to deal with supply side (cross border) bribery. Signed by 30 OECD countries in December 1997 this convention entered into force in February 1999 and there are now 38 signatories. The Convention permits countries to move in a co-ordinated manner to adopt national legislation making it a crime to bribe foreign public officials. It provides a broad definition of bribery, requiring countries to impose dissuasive sanctions and committing them to providing mutual legal assistance. Though the US FCPA pre dates the Convention, the provisions were incorporated under the Act in 1998. In the US the FCPA complements other legislation in this area such as the USA Sarbanes Oxley Act which also requires firms to operate effective systems of control and come clean about instances of fraud. For the Risk Management and Compliance functions of financial firms there is no getting away from these pieces of legislation indeed compliance with one assists the other. On April 1 2011 US District Judge Howard Matz issued an opinion from the bench in one of three pending cases challenging the US Department of Justice's broad interpretation of the term 'foreign official' under the US Foreign Corrupt Practices Act. The court in US v Enrique(1) (the case has informally been referred to as Lindsey Manufacturing in reference to one of the three defendants) is the first of the three to rule on this seminal issue. The court denied the defendants' motion to dismiss, concluding that employees of state-owned enterprises are foreign officials for purposes of the act. The precise issue before the court was whether officials of Mexico's state-owned utility company, Mexican Comisión Federal de Electricidad (CFE), were foreign officials under the act. However, the act does not define 'department', 'agency' or 'instrumentality'. The Department of Justice and other US enforcement authorities have utilised this apparent lack of clarity to construe liberally the statutory definition and apply it to interactions with employees of commercial state-owned or controlled enterprises. The Department of Justice's interpretation has previously been challenged by defendants in two other recent cases. (3) However, in both cases the court dismissed the defences' challenges with either no substantive analysis of the issue or very little useful analysis. Lindsey Manufacturing marks the first time that the issue appears to have been squarely addressed by the court. The defendants in Lindsey Manufacturing, as well as the defendants in two other pending cases - one in another California federal district court and the other in the Southern District of Texas(4) - challenged the Department of Justice's broad interpretation of 'foreign official' in pre-trial motions to dismiss. The motions were extensively briefed in all three cases, but Lindsey Manufacturing is the first to be decided. The most elaborately briefed motion is still before the court in the Carson case pending in the Southern District of California. All three motions were filed within the last three months. if employees of state-owned enterprises are foreign officials, then the statute is unconstitutionally vague. The defendants in Carson and O'Shea have made similar arguments. Reliable media sources reported that Matz stated in his oral ruling from the bench that the defendants' attempt to argue for a more limited definition of the term was "improper, unfounded and incorrect". (5) The judge is expected to issue a written order confirming his oral ruling. The Lindsey Manufacturing ruling is significant as it represents a victory for the Department of Justice that - at least for the time being - will likely strengthen and embolden the government's efforts to bring enforcement actions against companies and individuals based on its expansive interpretation of the term 'foreign official'. Additionally, while the extent to which the ruling will affect the Carson and O'Shea courts' decisions is uncertain, the decision will likely be weighed as both courts consider whether to narrow the current government view of who is a 'foreign official' for purposes of Foreign Corrupt Practices Act enforcement under the respective facts of each of those cases. The next two decisions will be highly anticipated. Certainty regarding who will be considered a foreign official under the Foreign Corrupt Practices Act, and thus who should be considered a potential recipient of an improper payment under the act, is critical as companies determine how best to formulate an effective compliance programme in the current enforcement environment. Definitive rulings from the three courts in the pending cases will impact on enforcement and corporate compliance initiatives alike. For further information on this topic please contact Richard Craig Smith, Marsha Z Gerber, Mary Beth Balhoff or Kimberly Sullivan Walker at Fulbright & Jaworski LLP by telephone (+1 202 662 0200), fax (+1 202 662 4643) or email (rcsmith@fulbright.com, mgerber@fulbright.com, mbalhoff@fulbright.com orkwalker@fulbright.com). (1) No 2:10-cr-01031-AHM (CD Ca). (2) 15 USC §§ 78dd-1(f)(1)(A), 78dd-2(h)(2)(A), 78dd-3(f)(2)(A). (3) See US v Nguyen, No 2:08-CR-522 (ED Pa); US v Esquenazi, 1:09-cr-21010 (SD Fla). (4) See US v Carson, No 08:09-00077-JVS (SD Ca); US v O'Shea, No 4:09-cr-00629 (SD Tex). (5) See Steven Mikulan and Aruna Viswanatha, "Judge Upholds DOJ Definition of 'Foreign Official'", Main Justice: Just Anti-Corruption (April 1 2011).